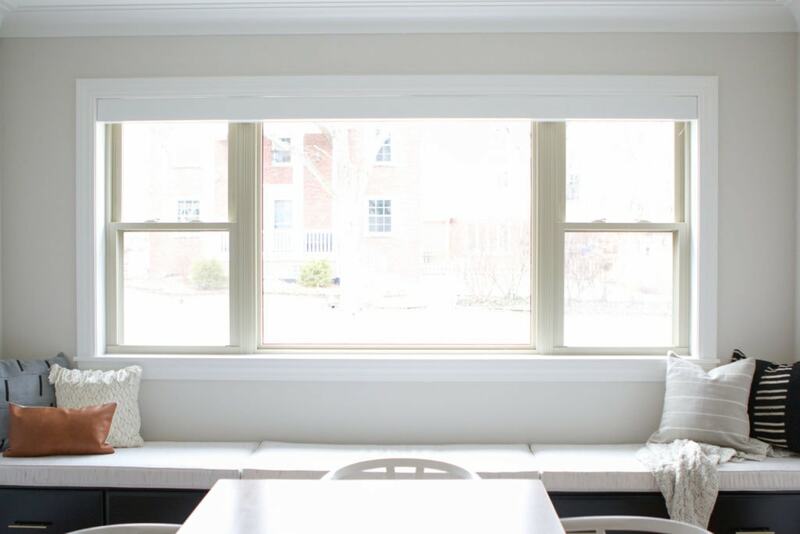 I’ve gotten lots of questions regarding our extra long window seat in our dining room so today I thought I would check-in with all of the specific details. As you guys know, this space used to be open, unused space. 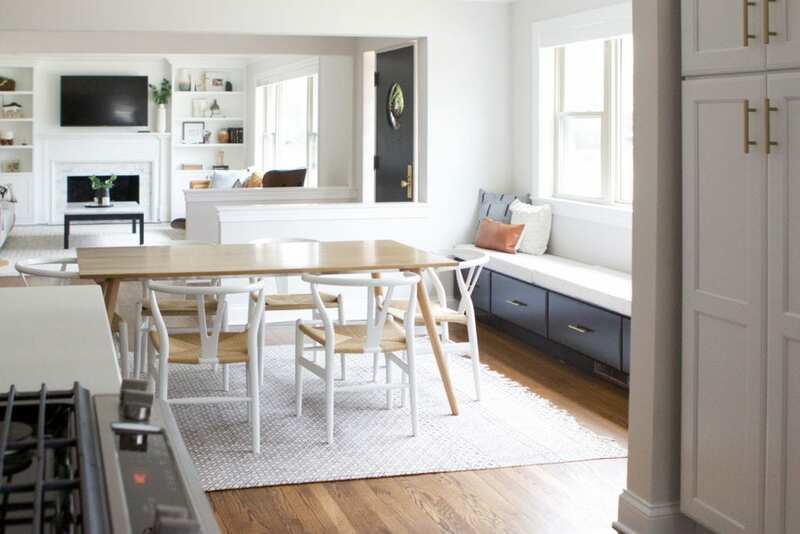 When our designer helped us land on a new kitchen layout, she proposed the idea of building an extra long window seat in that space, and I was immediately sold. I started looking into options and was pleasantly surprised that making this extra long window seat happen wasn’t going to be very hard at all. Here’s what we did to make it all happen. 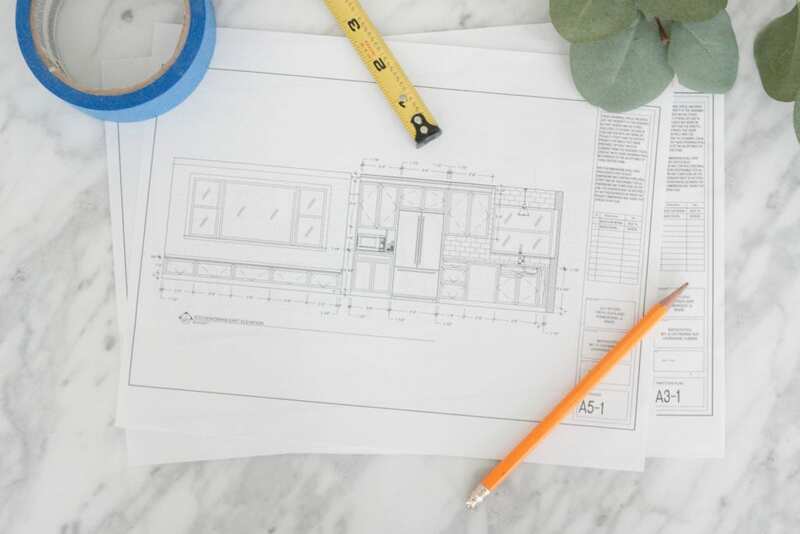 The first step was gathering exact measurements from wall to wall and bringing those measurements to Lowe’s when it was time to order our kitchen cabinets. We actually worked with the salesman at Lowe’s to figure out which cabinet combo would work the best. Because the rest of the kitchen’s lower cabinets were going to be onyx black, I knew that these would also have to be onyx black in order to tie the kitchen and dining room together. (FYI: the cabinets are Kraftsmaid and these are the pulls we used). 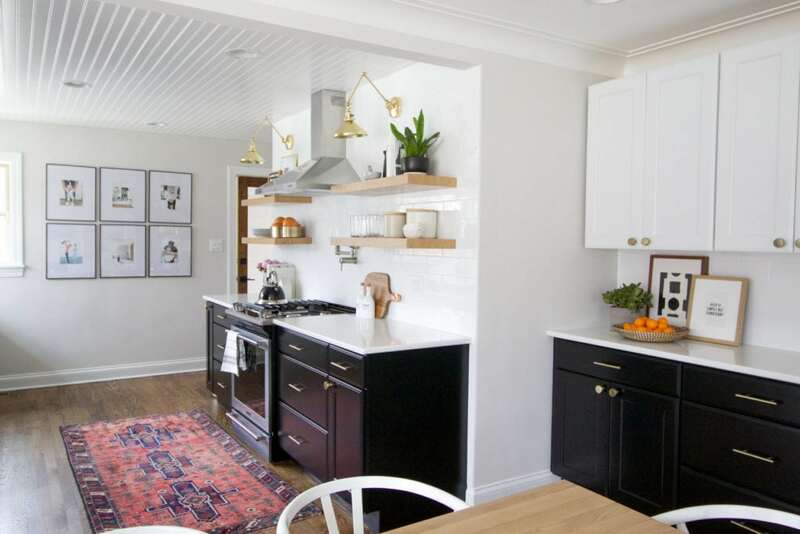 The cabinet specialist at Lowe’s suggested standard sized cabinets for this space, which is the most economical option. But I did have to customize the cabinet size just a bit. 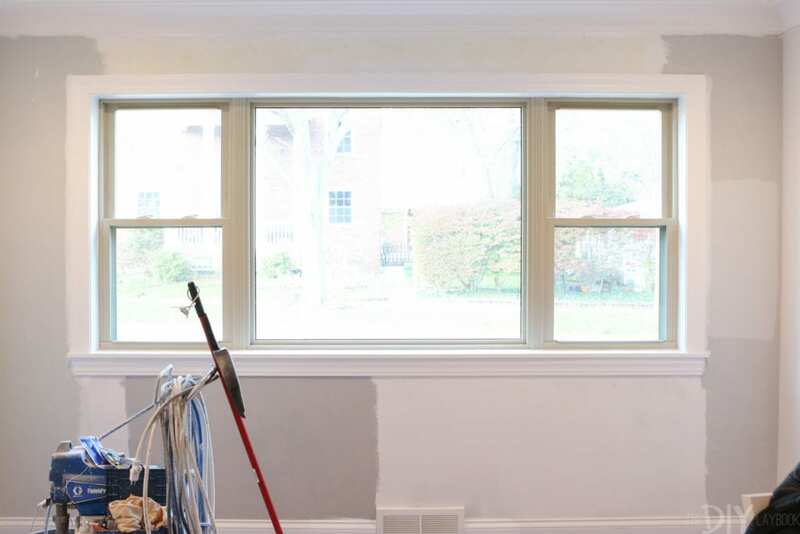 Before I get into the customization details, let me outline the exact measurements of my window seat. There are five cabinet drawers that make up my window seat, with just a little filler on each side to make them appear that they are built-in to the wall. 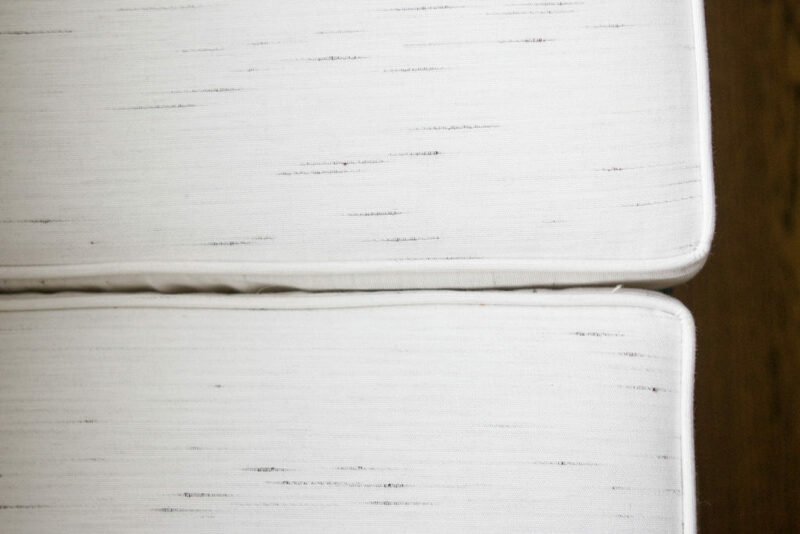 The two drawers closest to each wall are 23 inches wide, 18 inches deep, and 17 inches high. 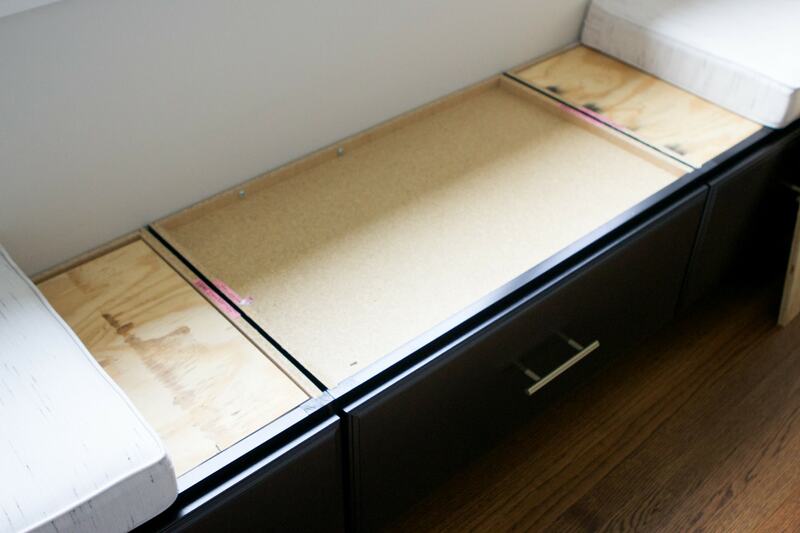 The three middle drawers are 29 inches wide, 18 inches deep, and 17 inches high. This cabinet option came in a variety of widths that made choosing a standard size cabinet (width -wise) no big deal at all. 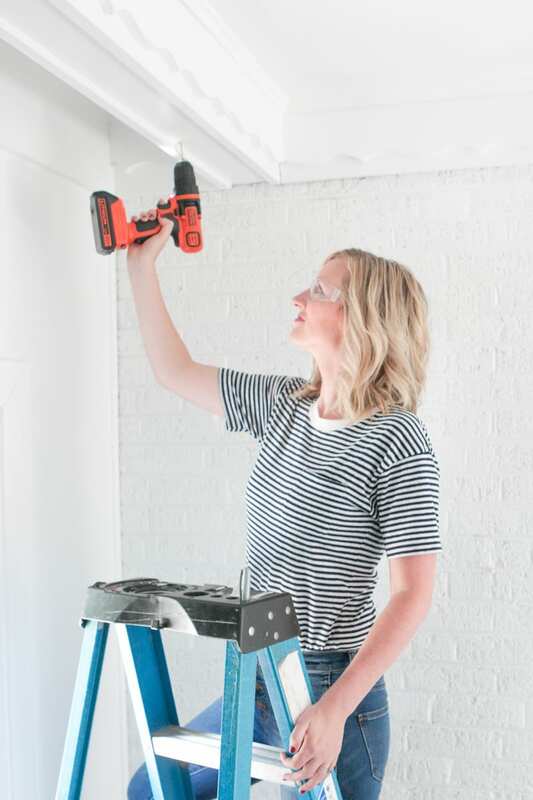 And actually, the cabinet sizes (width-wise) don’t have to fit exactly because your contractor will most likely order them a few inches too small for the space so he knows they will for sure fit. 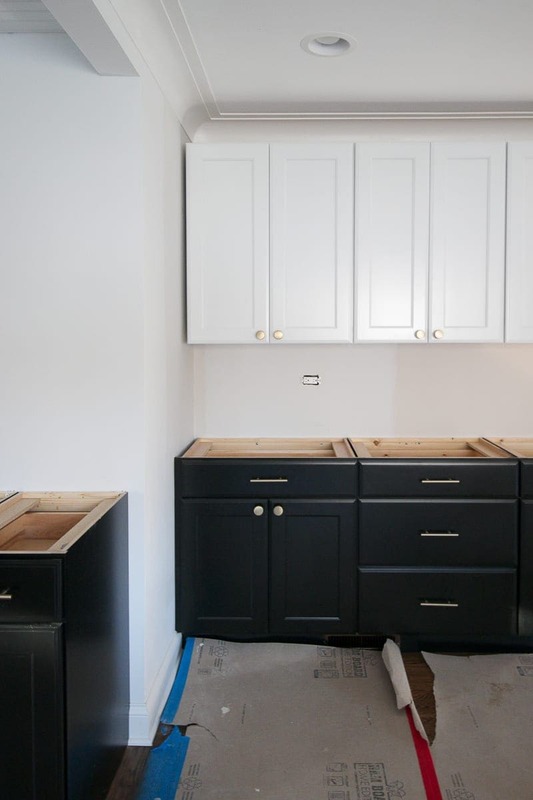 And with the “leftover” space (the few inches on either side), he will probably add cabinet filler so it looks like the cabinets are built in and sized perfectly. 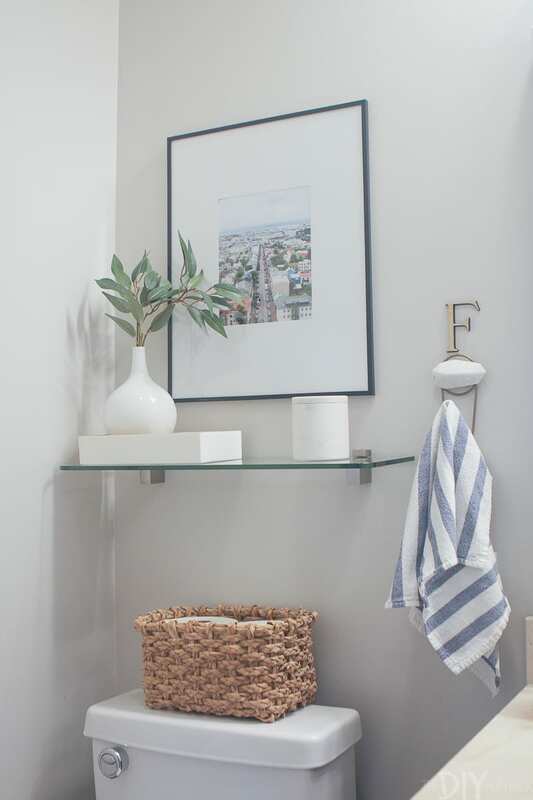 So as far as I’m concerned, the standard width options offered should definitely fit within your needs, regardless of your space’s width. BUT, the depth is where I had some issues. The standard depth of these cabinets is 24″. Personally, I didn’t want the window seat to come a full two feet into the room because the room isn’t that big, especially when you add a table and chairs. So, I opted to decrease the width of these cabinets by 6 inches. That doesn’t sound like a big deal, but that “customization” cost me approximately $150 per cabinet. Again, not that big of a deal for one cabinet but this extra long window seat is made up of 5 cabinets, which meant customizing the depth cost me $750 (ouch!)! In the long run, I knew it was worth it, but I share this insight so you aren’t as bummed as I was when I heard the news. 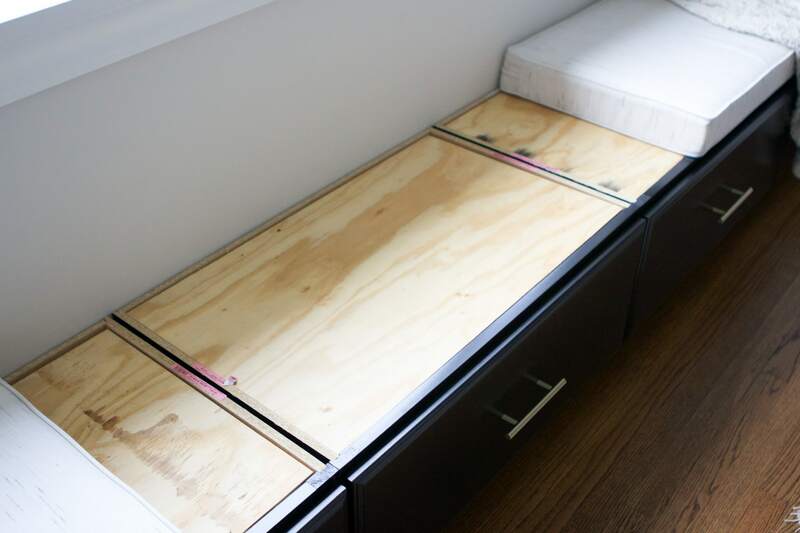 Before I added a cushion, I cut plywood pieces that would fit perfectly onto the top of the cabinets. I don’t know if this step is necessary, especially if you have a thick cushion, but I wanted to be safe rather than sorry. My goal was that this plywood would even out the weight distribution when someone sat on the cabinet. 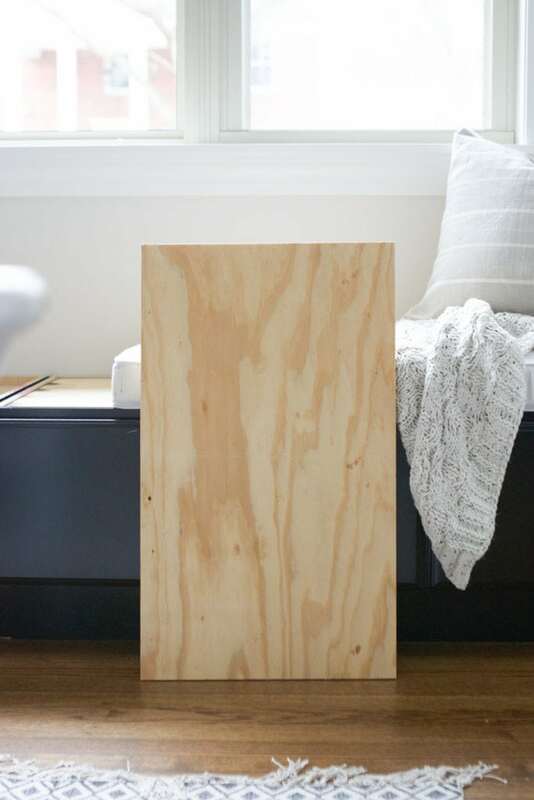 I also wanted the cushion to sit flat on all of the cabinets and these pieces of plywood made that happen! Once the cabinets were installed, it was time to figure out where the heck I could find a cushion to fit this extra long window seat. I honestly didn’t even know where to look until I somehow stumbled on PatioLane. And right then and there, all of my cushions concerns were answered. 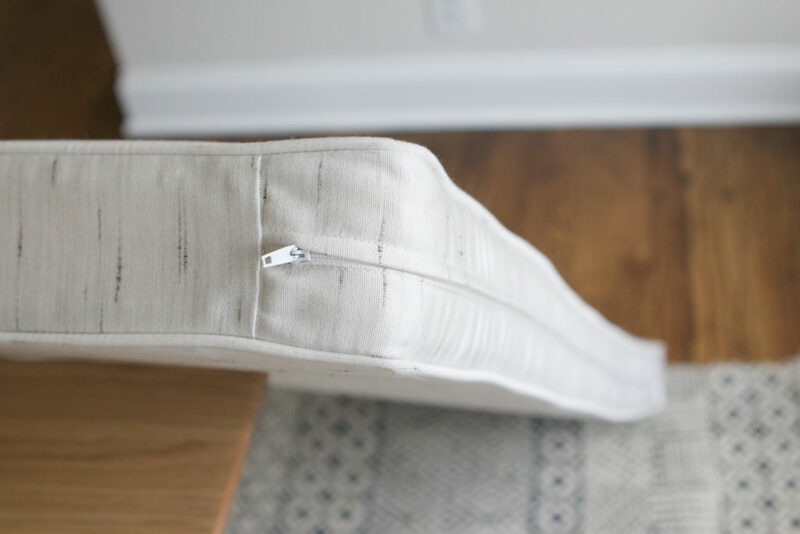 I used their Custom Cushion Builder to build a cushion (or in my case 3 identical cushions) to fit perfectly on my window seat. 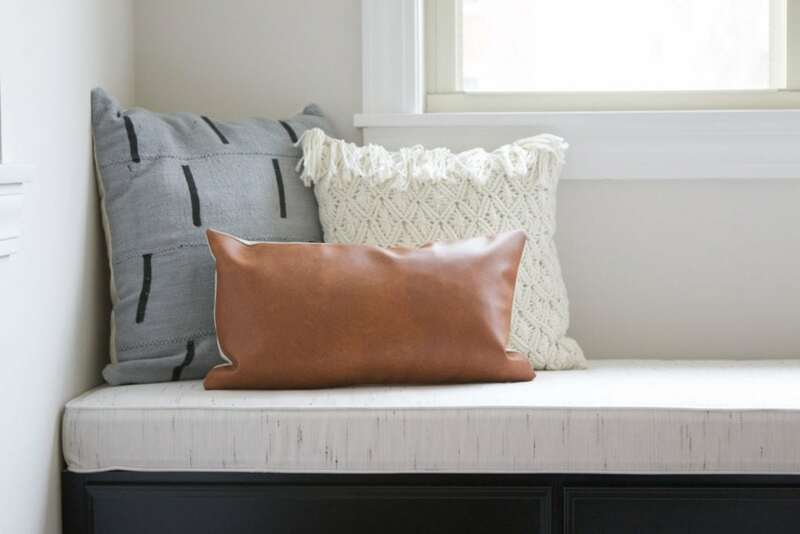 I was able to choose every last detail, including the thickness of the cushion, whether I wanted welting around the seams, and obviously what fabric to use (there were so many options!!). I ordered a free sample of the fabric I liked best (this one!) just to make sure I liked it. And low and behold I liked the pattern/color and ended up going with that same fabric. 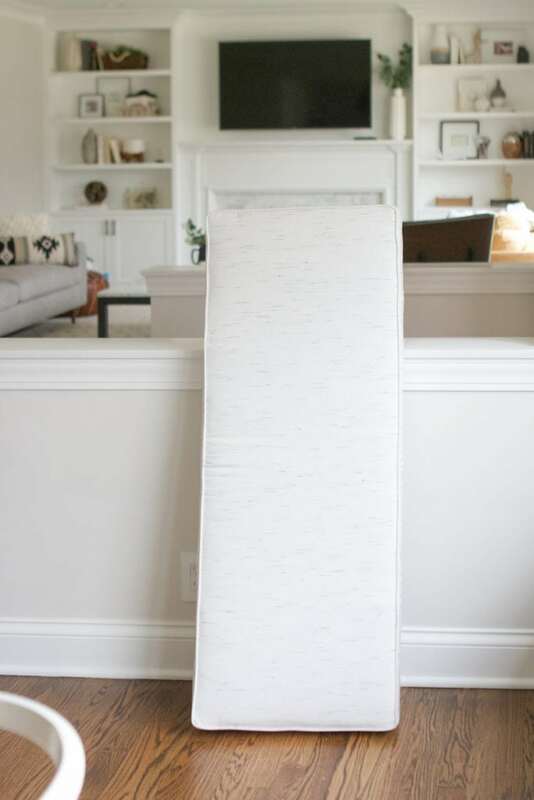 I would definitely recommend this service for anyone looking for window seat cushions (or really any custom cushion). Plus, the covers all come with zippers, which was a high priority for me. Since this seat is next to the table we eat at every day, I wanted the option to zip these covers off and clean them as often as I liked. 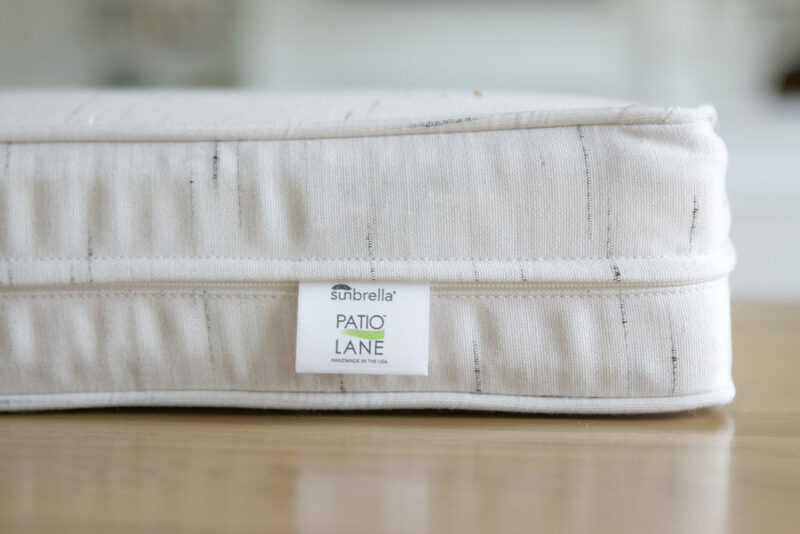 If you’re looking for a new cushion for your home, PatioLane is offering 15% off your order with code DIYPLAYBOOK! Last, but certainly not least, I added a few throw pillows to the corner of this seat to warm it up a bit. These pillows are from this shop and this shop on Etsy. This is now Ben’s favorite place to stand and look out the window (with supervision, of course). I also like the placement of our window seat because it can easily double as a “chair” when we add the extenders to our table. 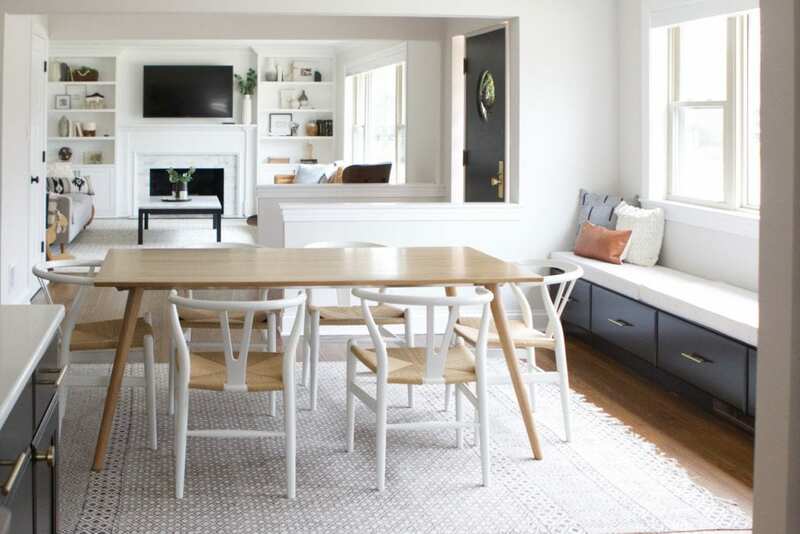 The extenders allow our dining room table to fit 8-10 people. 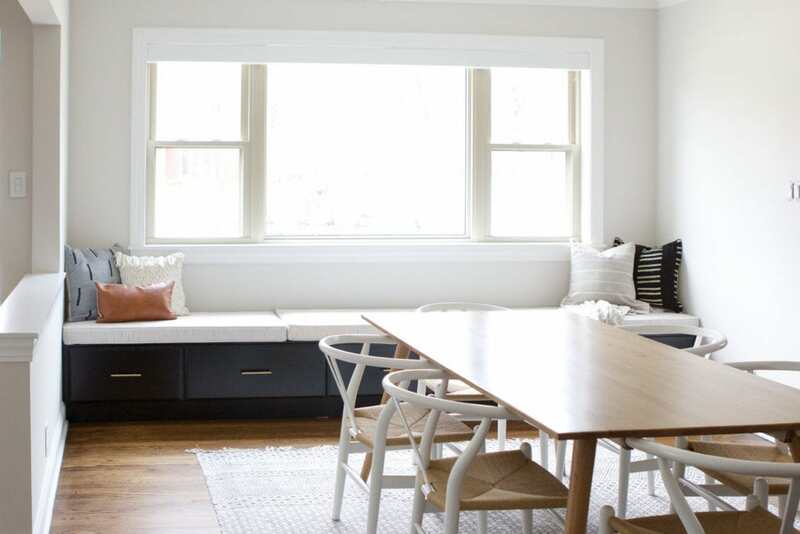 Pushing the table right up against the window seat provides a very practical solution and saves us some serious space, which is an unexpected perk of having a window seat right here. Oops… how could I forget the best part of all?!! 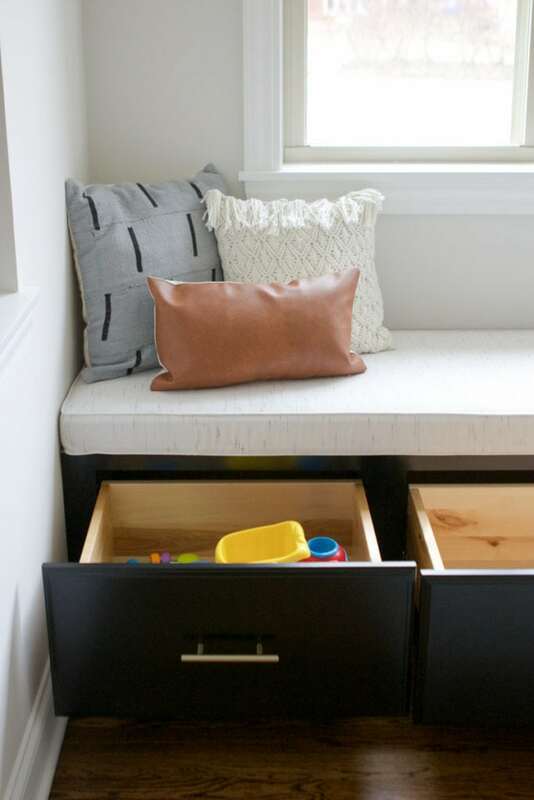 Although I love everything about this window seat, my favorite part is the extra storage it provides. Five drawers to store all. the. 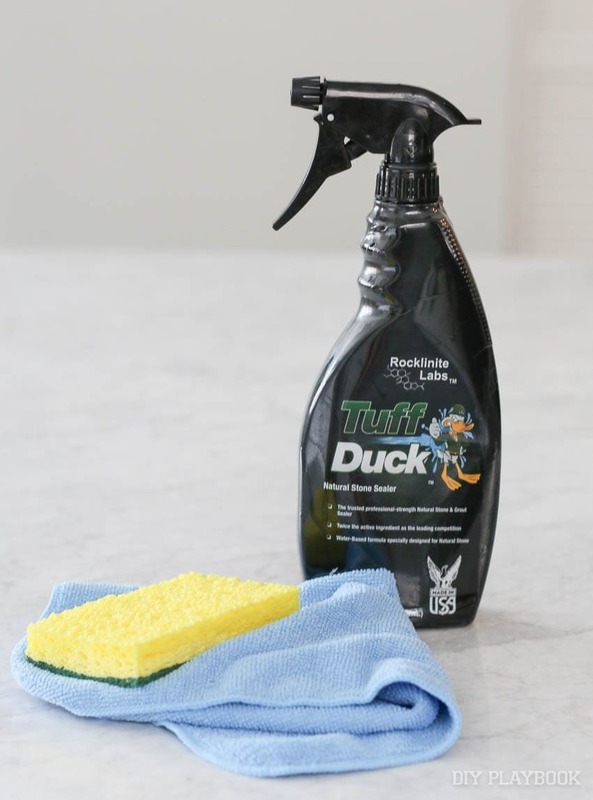 things… what’s not to love?! I still haven’t figured out what is going to live in these drawers permanently but when I do, I promise to keep you updated. In the meantime, did I miss any details?! I feel like this quickly became a very long post so I hate to keep going on and on. 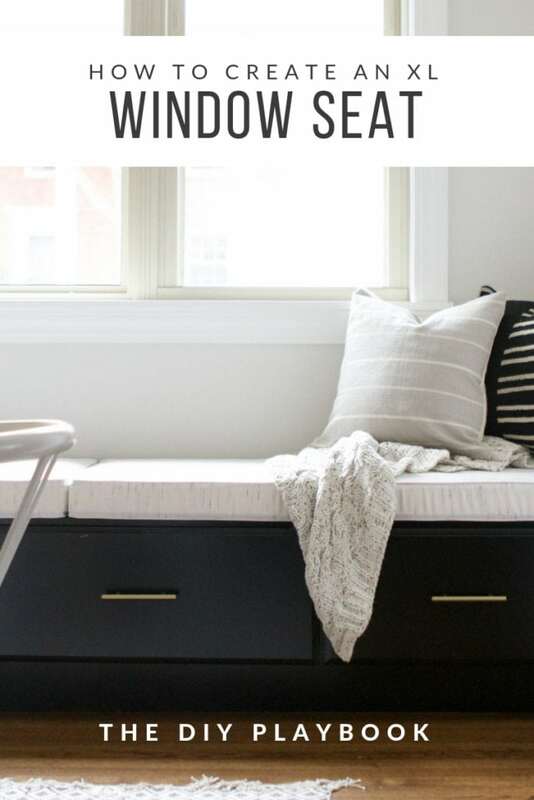 But if I missed anything, let me know and I’ll add it in to help anyone else looking to recreate a window seat in their home! 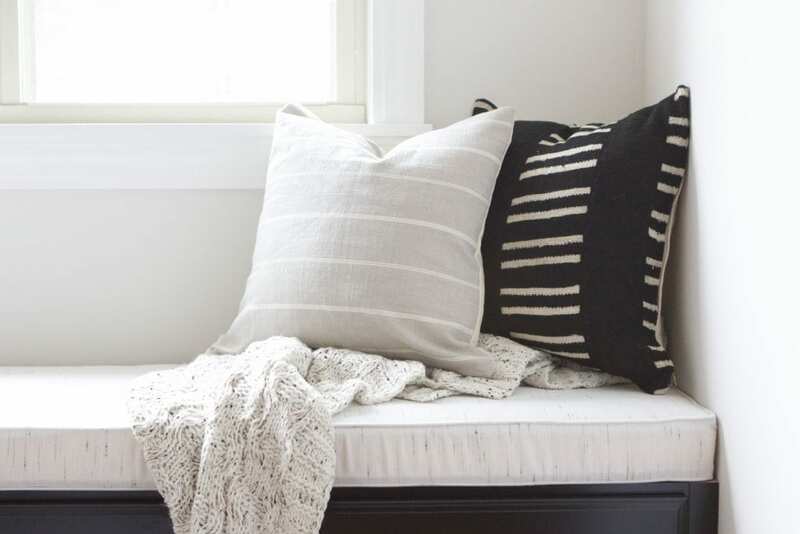 And as a reminder…if you’re looking for a new cushion for your home, PatioLane is offering 15% off your order with code DIYPLAYBOOK!